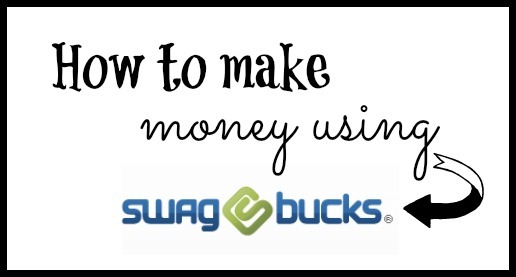 Many of you have asked us questions on how to make the most money out of using Swagbucks. We’ve been using Swagbucks as our search engine about 3 years; at first it might seem confusing. We weren’t earning Swagbucks for our searches, and it seems to run so slow when we did search. We did some testing and found out how to get the most amount of Swag from Swagbucks and how to get started using it. 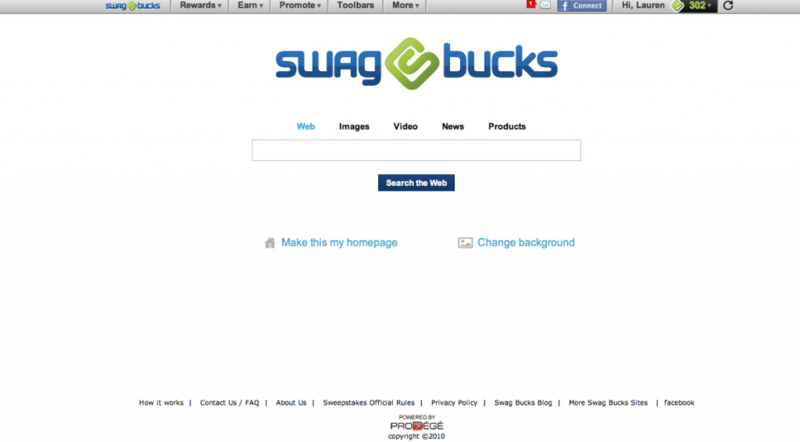 First, this is what your opening Swagbucks page looks like. You type in your search in the Search bar just like Google. You can see up at the top right, your Swagbucks Balance. 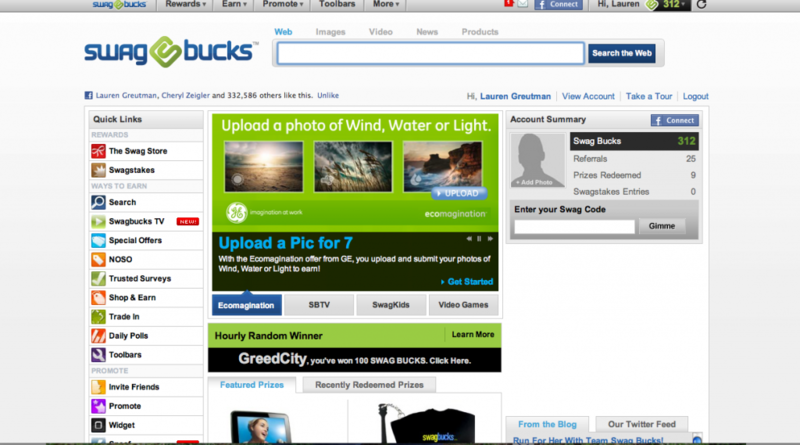 When you hit ‘Search the Web’ this is what you will see when you earn your Swagbucks (below picture). We searched the website, I am THAT lady, and this is what we saw. Now you can see our Swagbucks balance has changed to 312. This time we were really lucky and earned my Swagbucks the first time we hit Search. We usually have to search from the main search page (top picture), and then when we get to the next page have to hit the Search button again (you can see this button right above the announcement that we have won the 10 Swagbucks). We usually only earned Swagbucks 1 or 2 times per day. These 10 to 20 points will add up over the days, and in a month you can earn a $5 Amazon gift card! When you refer friends you also get referral credit. Referral credits help us earn our gift cards faster. A month to earn a $5 gift card may seem like a long time, but if you are already searching for things you may as well get paid for it. When we get on our computers every morning, the first thing we do is search on Swagbucks. We usually search for “Facebook” or my Website http://FFAFintl.org. 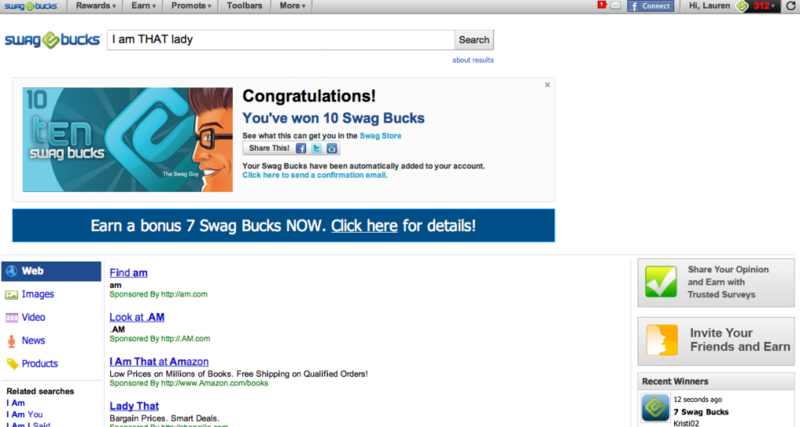 We typically earn Swagbucks our first search of the day, but only sometimes twice after that. It all depends on the day. You can also earn 1 Swagbuck per day by taking a Daily Poll. You can find those daily under the Daily Polls Section found on your left. Clicking on the Swagbucks Logo all the way at the top left, will take you to the above page. 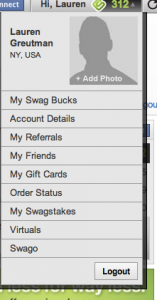 This is the page where you enter your Swag codes, take Daily Polls, and Order rewards using your Swagbucks. 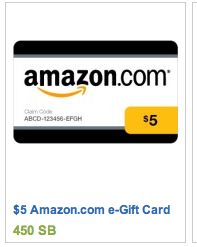 The best deal for your Swagbucks is the $5 Amazon.com gift card. It only takes 450 Swagbucks to earn it, and it really easy to use. 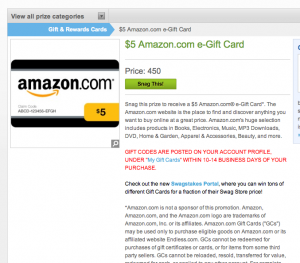 Here are some instructions on how to order your Swagbucks Amazon gift cards…. First you need to click on ‘The Swag Store’ which you can see on the top left of your screen. You will then need to go to your email and verify that you actually purchase it. Then it takes 10-14 business days to be added into your account. They come as a code that you can enter directly into your Amazon.com account. To pick up your Amazon.com gift card and receive your codes, click the green Swagbucks logo next to your name on the top (looks like this below). Then choose ‘My Gift Cards’, and you will be able to see all of your Amazon.com gift cards. Swagbucks sends you an email you when your gift card has been deposited into your account. If you have never joined Swagbucks before, you can sign up and earn 30 Swagbucks immediately! We hope this helps clear up any confusion on how to use Swagbucks. It is really easy and once we tried it and stuck with it, we are hooked!